It’s been a year since I first walked into the Frank Lake Covenant Church. 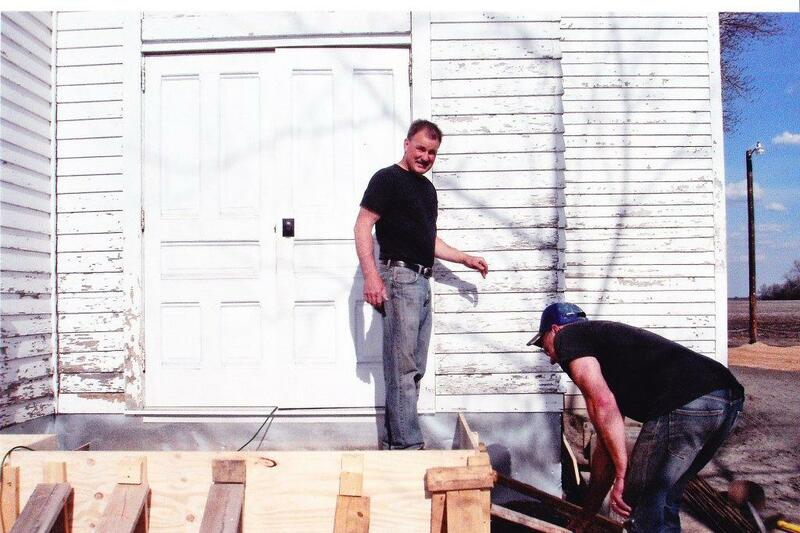 Last fall, the grove was torn up to move the 1900’s quaint building onto our land. Because nothing would grow in the grove, we didn’t have a lot of trees to clear, but of course the grass was uprooted. These past months, it has looked barren and a tad bit lost. Every single soul that resides in Minnesota can attest to the fact that winter months lingered too long, and spring has come in with a mighty rush of wind and waves of rain showers. Frank Lake has been peering out at me amidst giant mounds of mud. Each and every kind-hearted Bible study friend has patiently meandered their way up the little dirt path to the rickety stairs, as they managed to make it inside. But that was never really the plan. 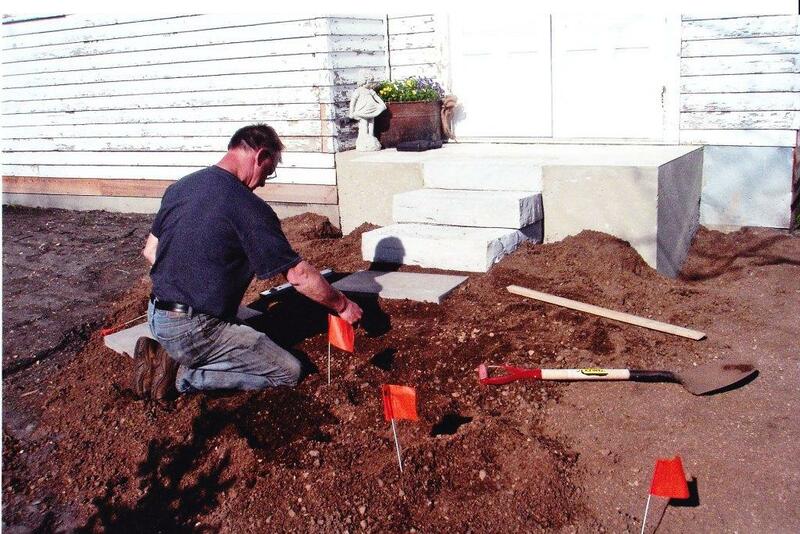 The plan was carefully crafted by my husband, Farmer Dean. He meticulously created drawing after drawing, measuring cautiously each and every inch and foot that would eventually lend itself to a lovely walkway with steps and beautifully groomed green grass. Farmer Dean would say that he was planning on working on the project, only to awake to spring rains and he’d put the plans back in the bottom drawer. Our first ever Best Life women’s event was to take place and again we approached the dilemma of no steps and rickety stairs … and a very sad looking lawn, minus any grass. We prayed, we planned, and then we prepared. 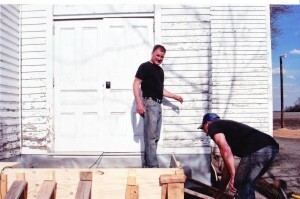 Dean and Uncle Gary worked tediously to pave the way for the attendees and once again, new life was introduced to a building that had been sleeping for thirty-two years. Steps were laid out and cement was poured. They finished the project twenty-four hours in advance of the ladies arriving the morning of the conference. But Farmer Dean was sure that grass would now grow. 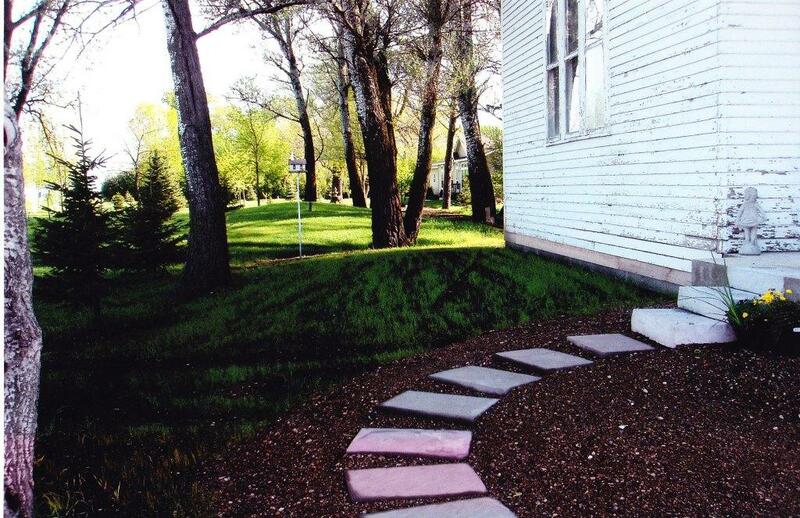 God had what He wanted … the church was in the grove. So where nothing would grow before, Farmer Dean assured me God was pleased and grass would grow. I watched him gently sprinkle the grass seed to and fro and wondered if it would work. The rains came and then the sun followed. And then more rain and more sun. The seeds are planted. God is at work. I’m watching it all grow in front of my eyes. 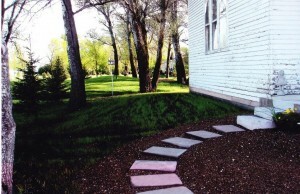 Green grass and a wonderful ministry. It’s a lovely sight to see. That’s so great Kathy! Dean & all the guys have worked so hard! God is growing seeds & people for many to be encouraged!